When the Void Wars broke out between the remaining Nulgath forces in Oversoul. Only one group remain loyal to their Master, the Revontheus. Sadly, the majority of all Revontheus disappear with their master. Leaving the remaining few greatly out number to the voids and fiends. Yet this will not deter them. They will bring order to Nulgath's forces no matter the cost. Using powerful magic given to them from the first Revontheus. They will do all they can for the glory of NULGATH! Welcome to Revontheus Resistance side event! This is special event for the Void Wars. Where the forum and game staff have the option to fight those who are participating in the tournament. Where the prize for those who our triumphant against the Revontheus. BRAGGING RIGHTS and FUN! During the course of the tournament. A staff member will contact a tournament participant by private message. 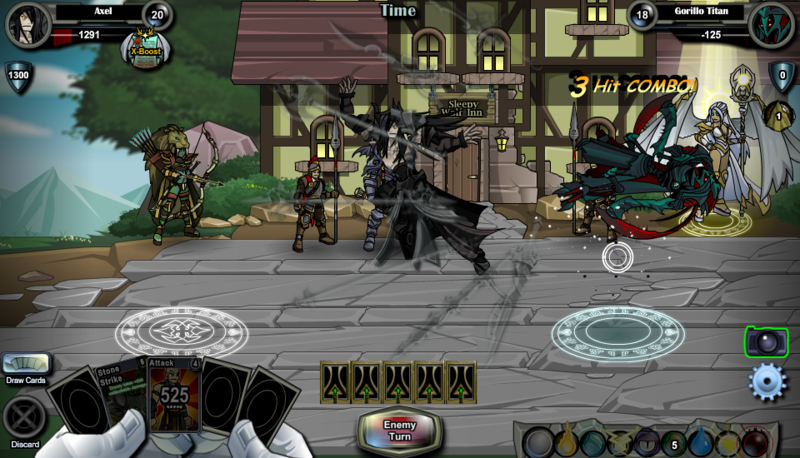 Challenging them to an optional fight using one of the Revontheus characters. Players may choose to accepted or decline the optional fight invitation. If a player accepts the optional challenge. They will schedule a duel against the staff member and follow normal tournament match rules. Including using tournament only character against the staff member. Where the outcome of the match determines a one to two sentence story. If a player declines the optional challenge. They do not have to face the staff member but a one to two sentence story will be written base off their choice. Based off the outcome of the fight and player choice. We will do a story line or two of the Revontheus interaction with the player. In one of three categories. Triumphant, Defeated, or Decline. If player does not want a sentence story written base off their choice. Please make sure to tell the staff member they want the results omitted. The result of these matches have no bearing on the official tournament. If a player wins the optional match they do not advance. Likewise if the player loses the optional match they are not eliminated. The Prize for those who participate is fun and potential bragging rights for defeating staff members. For those who are use to our tournaments. Theirs been points where a player and community get stuck waiting for a match to happen longer then they should. Where I wanted to add something to help keep things going during those time periods. Where this tournament gives us the oppertunity to try something new with this open challenge concept. So for players who get far in the brackets or due to player schedule stuck waiting longer. Worst case I fight them so they can stay active without losing momentum. Plus it be nice way to call back those who are elminated from the tourney but still watching. So they can still be part of the action. Lastly since I can't participate as participant. It allows me to interact in the tournament and scout you out. In war, there are many soldiers with stories to tell. Yet, we never hear these stories. They're either lost in the heat of battle or overlooked for stories of the legends and leaders of the war. For one Lore Master, he has decide to record the events of one group of mysterious soldiers, Revontheus. So their stories may not be lost in the battle. So will you read the findings of this Loremaster when it comes to the Revontheus in the Void Wars? Dylligraphy teaches Bunnytheus the best trick in the land is not turning into a bunny but the poison he can spread from his hands. As a Skexis Mantis, Gorillo Titan lures a Young Rev into following him a box corner in the mountain side. The Young Rev gloats with glee on the foolish of his opponent who he is planning to destroy him for rebellion aginst Nulgath. As he approachs Gorillo. Gorillo uses his skexis mantis powers and disappears into the ground. Before the young Rev can give chase he feels an Earthquake and sees the box cannon collasping on himself. Young Rev tries to fly away but can't escape rocks falling on him and is buried. Where the only thing that could be hard once the rock settles is "Why couldn't this been DarkLore? ~Gorillo Titan preforms Brain Surgery on Rudolphtheus. After defeating a Rudolphtheus as Blood Fiend. Gorillo took pity on the Rev. Maybe it was the way it said Ho Ho Ho, how cute little red nose lit up, or he justed need a gift for his would be queen for Frostval. Gorillo knew then he had to save its life. So he began to perform emergency brain surgery. Using his fiend claws he easily got to the brain cavity but couldn't find the brains he seeked. All he can find were candy canes and sugar plums. Their was no brain to be found. Gorillo knew he had to go to plan B as he snack on candy canes. Looks like his future queen is going to be getting stuff Rudolphtheus for Frostval instead. 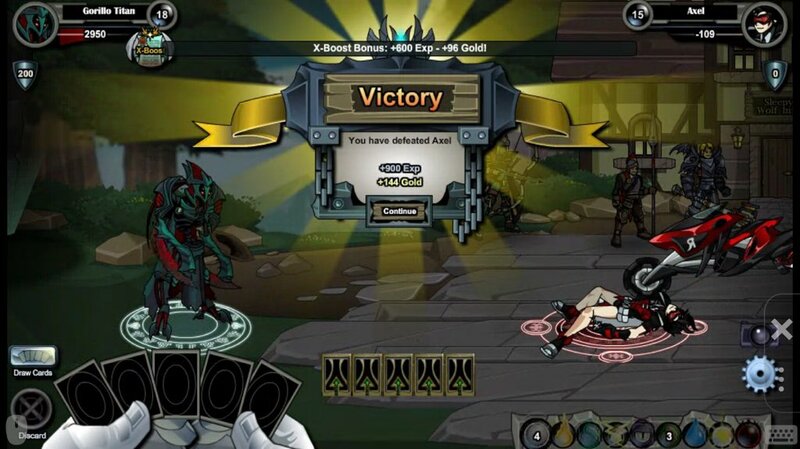 The Rev's will punish all those who betrayed Nulgath during the Void Wars,especially the defeated. One Revontheus (Veteran) plan to show that to Lack of Fear but the Rev was careless. Underestimating the power of Lack of Fear with his Dark Incarnate. The Rev was the one punish instead and left with a message. "If the Shadow wants to punish me so badly. He knows where to find me!" As Megakyle777 battles his way to the top. An elite of the Rev forces appear before him, the Rev. Rev strike first petrifying Megakyle777 in stone. As the Rev comes closer with smug on his face ready to smash Megakyle777 into the ground. Megakyle777 breaks free from his stone prison and shocks the Rev with all his electric might. Leaving only charred feathers in his wake. Wounded, Atreue flees as Young Revontheus chases him. Young Revontheus throws pike after pike at Arteue. Arteue barely dodges these might blows since he knows one more pike would mean certain doom for himself. Desperate to survive he uses a special ability unique to the Hanzo Voids. After another pike misses Atreue. Atreue jumps into the air turning into flying shuriken catching the Young Rev off guard and finish this fight before the young Rev finish him. In Nulgath's army their is only legendary few who every obtain the rank of Void Champion. Those warrior are elite of the elites. Where the can wipe out an army of thousands by themselves. So its amuses The Warden staring at whats left of one Young Revontheus who thought he can destroy him when thousands couldn't combine. The Jop to recuperate from the tournament heads to the sea but one Cupidtheus gave chase to him. Was it love because The Jop was possessing a Beta Void Pirette or are the Rev's that determine to deal Justice for Nulgath. Only the Jop knows since he said that Cupidtheus walking the plank without his wings. Rainbowtheus though he can paint Elite Tuga and Black and Blue. Elite Tuga instead painted Rainbowtheus into the ground. As Elite Tuga fought his way to Nulgath's Shadow. A Cupidtheus appears and shot him with barrage of arrows. Which all bounce off his Void Awakening. A look of fear appear on the Cupidtheus as Elite Tuga appear before him saying. "How Nice of Nulgath's Shadow a punching bag to help kill the time before I destroy him he he heh." ~Darklore finds breakfast on the road! Darklore spied two oversouls battling for supremacy but ignored them. He had a bigger target... the Shadow of Nulgath. So consumed was he by his desire that he didn't notice a Reventhious Egg, eager to prove its worth, roll into his path and get underfoot. Stumbling, Darklore sent an annoyed glare at the egg, lazily kicking at it to remove the nuisance from his path. But the egg was surprisingly quick, rolling nimbly and colliding with his other leg, nearly causing Darklore to fall. Angry now, he swiped at the egg with his sword but again missed, cutting empty air while the egg rolled quickly around behind him and rammed into the back of his knees, this time succeeding in knocking him to the ground! With a roar in fury, Darklore grabbed the egg with one quick strike and slammed it against the pavement, cracking its shell. As he rose and picked up his sword, he tucked the egg under one arm. He didn't get Nulgath this day, but he did get breakfast. It wasn't a total loss. Andlu tried their hardest to cut through the egg with his double champion blades but he only ended up getting poisoned badly. If he can't cut open an egg how will be able to destroy Nulgath's shadow? While Bunnytheus beat the cute out of Pycho Master. Pyzcho Master made sure it was a mutual exchange by turning Bunnytheus into something that will never be cute again. While laying on the battlefield broken and beaten. The only thoughts running through Pyzcho Master mind. How can I get stronger to crush Nulgath's Shadow like this? Bunnytheus is one who won't hesitant to kick a player when he's down or in this case hop. By hoping on Ovsersoul till he gets the message. "Never take Nulgath place!" Gorillo Titan does his best to set up a perfect earth defense with Mantis but Rev's 7 blades are too much cutting through all of it and standing victorious. The little bug will have to try harder if it ever intends to stand against Nulgath. Another Void Champion accepted the challenge of facing the infamous Egg, this one had sharper champion blades and managed to knock the egg out alongside itself but it still wasn't enough. How can this void call itself a champion when it's not able to triumph over a little egg? grammer mistake in your reventheus resistance chronicles paragraph. ^ Hahaha is that intentional? Kind of unfair when you use level 10 against Dylligraphy of all people but level 15 and 20 against players who have won far less PvP tournaments. Its not so much unfair guys. Its just what I had available to work with. When I decide to do this side event idea during the planning stage. All my current Revs were level 1-4. So I had to power level them all to level I can fight and win with. Just so their will be creative options for this optional side event. It wouldn't have matter which Rev Dylligraphy would have fought since they would all be level 10. sadly I just hadn't have the time/chance to spam the challenges and try different revs against all you guys. So don't view it as unfair, its by design on my end at least. So can we just challenge Kiyone when she is on or we have to be challenged? Also how was there mutual destruction? Does bunnytheus using sacrifice to kill both count as a win? I think that was a case of destroying the Void Reflection and dying as a result of the reflected damage. (Even though Pzycho did enough damage to break it and "kill" Kiyone). Eh, correct me if I'm wrong. Voltaggia 1551 is correct. Pzycho die while attacking me with Void Reflection but still doing enough to kill me aswell. On challenge. Both in a way. You can pm or I was going to pm people. I was even planning to do some open challenges when I can be in game for it. I feel a bit left out (luck-wise), two of my opponents of the 3 so far have been away whenever I'm on and no REV encounter(s) yet, my luck so far has been very low. On another note I'm really happy with Kiyone's great work and battle wins, she has really impressed and surprised me with all her efforts. just a quick note: Kiyone's not Pming people due to busy but rather if you want a fight with a Rev try to challenge him when he's on OS since he's still doing this. I did such and won. But it was a close fight and I pity anyone who takes him on without a plan of some kind. Or as he says above you can PM him. Do either of you Kiyone and Axel have time today or next weekend to do the rev duel? Rev stories all posted and I have little time know to fight anyone. Great stories and that is fine. But do I have to fight you before the finals is over? Why couldn't this been DarkLore? What's that supposed to imply? *Taps shadow talons. * Choose your words carefully ArchKnight Kiyone. AHAHAHAHAHAHAHA! But seriously. What did that mean? I can always fight you guys after the tournament. This is just more optional silliness. So if ya want to fight get in game now I'm taking challengers. Because at every waking moment of this tournament Gorillo Titan has been wanting me to write a story involving you and his character. What got written was me being EXTREMELY NICE about it after losing track on how many times I said no to his original request. Plus I heard Mritha wouldn't mind fighting ya. Kiyone was playing on the fact that you two have some sort of feud. I wonder if her second sentence was aimed at you though. Being extremely nice about why couldn't it be darklore? Mritha wants to fight me? Good fights Kiyone, although if you was any higher things could have been different since my draws in the first (real) battle were very poor compared to my second (fun) battle. If you need Screen-shots for reference and fan entertainment, please let me know so I can provide.